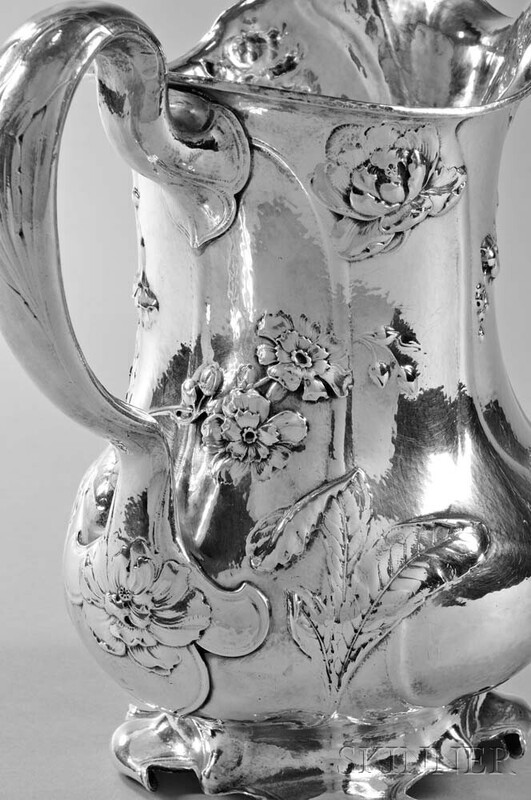 Gorham Martelé .9584 Silver Pitcher, Providence, c. 1907, date letter "L/VW," Spaulding & Co., retailer, also inscribed "176," baluster-form with assorted floral sprays on a hammered ground, on four scrolled bracket feet, ht. 9 3/8 in., approx. 44.0 troy oz. 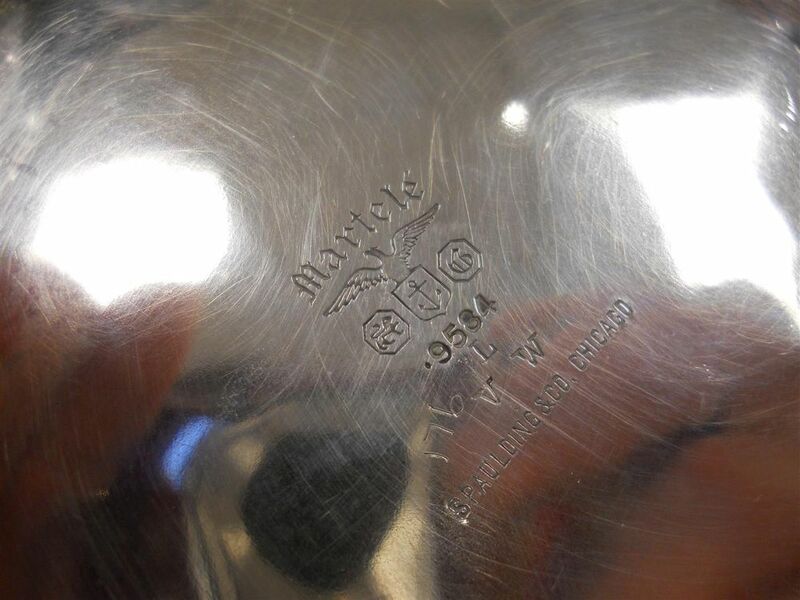 Two small dents to handle, light surface wear throughout (very slight loss to detail). Otherwise in good overall condition.